If you have any questions or want to enquire about dates, use our form to contact Tom & Alexandra Pearson. You feel as if you’re visiting old friends when you come to stay with Alexandra and Tom. Nothing is too much trouble and there’s always tea and homemade cake waiting for you – or a welcoming tipple if you arrive in the evening. Peaceful bedrooms have garden views; there’s a single room too, with a truckle bed for a child. Chickens roam the 19 acres – you’ll be offered their eggs at breakfast with bacon, sausage and black pudding from the local butcher, bircher muesli, yogurt and fruit. Sit and chat by the fire, pat Bizzie and Dexie the spaniels, plan your day. Tramp the Salt Way, visit Cheltenham for a festival. On a summer evening take a glass of wine to the bench on the hill for the sunset views, then have dinner down the road at The Wheatsheaf Inn in Northleach. Let the owls hoot you to sleep. Dogs not allowed in bedrooms. Singles £75. One-night stay at weekends £120. Step into a house of calm and home comforts. I love the fact that Alex thinks and treats her guests as an extension of her family and friends. She likes to share her home with her guests and meet new people. She is especially hot on good customer service and fabulous breakfasts. Enjoy a short and rejuvenating walk around her pastures or venture further afield! Calcott Peak is a beautiful and spacious house with a magnificent host, lovely gardens, comfy beds and a beautiful sitting room. Alex went above and beyond to look after us and her breakfasts are delicious with fresh eggs from their free range chickens. We were greeted with tea and home made banana bread followed by homemade scones a day later. We were particularly grateful for Alex’s great pub, cafe and walk recommendations. A beautiful place in a beautiful part of the world. We would go back in a flash! My husband and I have just spent 3 wonderful nights at this beautiful home where I celebrated my birthday. Alex is a very kind and warm hearted hostess and even made me a birthday cake. Tom surprised us with a glass of wine each evening, and having the use of the Drawing Room was a treat. An exceptionally hospitable couple whom we can thoroughly recommend. My husband and I stayed for 2 nights as part of a 70th birthday weekend! Family also stayed for 1 night and loved it too Alex and Tom are a charming couple who clearly love what they do with regard to their beautiful Bed & Breakfast venture! Nothing is too much trouble for lovely Alex and her guests! Everything was faultless, from beautiful bedrooms to the fabulous breakfasts. ...flowers everywhere...gorgeous dogs...I could go on and on Such a special place and in our memories now I honestly could not have chosen a better place to use as a base for our celebrations Thank you Alex and Tom! Absolutely beautiful house in glorious setting. Alex is an absolutely charming and attentive host. We felt completely at home as soon as we arrived. Lovely tea and cake each afternoon and breakfast was so yummy in front of lit log burner. 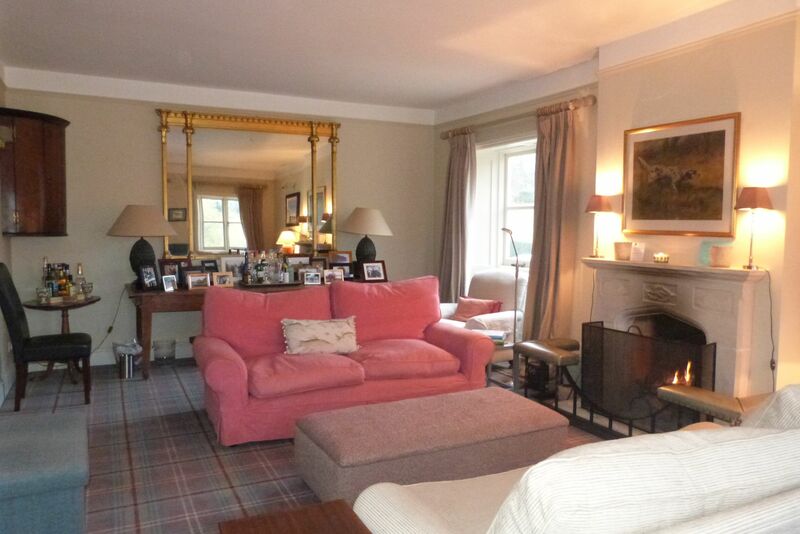 Beautiful bedroom and bathroom and your own sitting room with roaring fire. 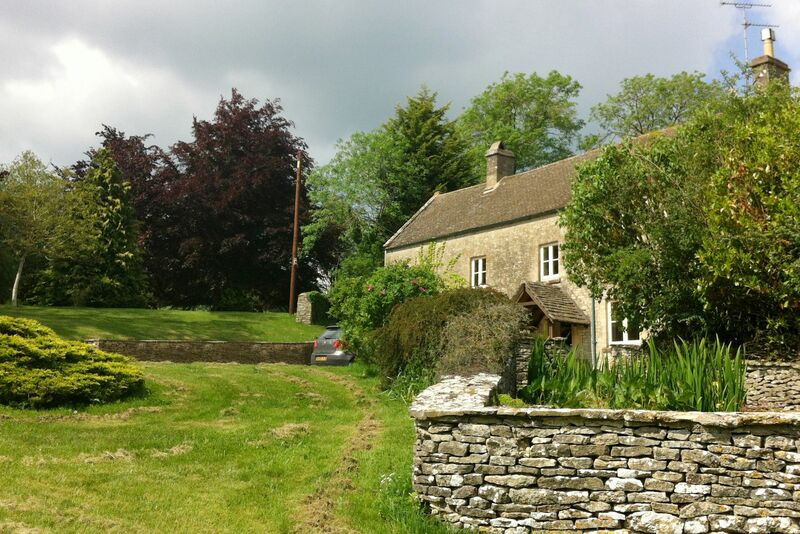 Alex's home is beautifully decorated and is in a super location for touring the Cotswolds. We had been to races at Cheltenham before arriving and house is just 30 minutes drive from course so ideal if you go to races. We loved it. Book - you won't be disappointed. From the moment we arrived at Calcot Peak House we were impressed with the warmth of hospitality, idyllic views and quality of the establishment. Tom and Alex went a long way to make sure we had everything we needed (including a snug room for our dog), and ensured we had the best possible experience in the Cotswolds. Excellent breakfast (eggs from their own hens), delicious afternoon tea, cozy bed and fantastic local restaurant recommendations made the stay very memorable. We will definately go back, and I would recommend to all. Thanks to the Pearsons! We have stayed in many Sawday B and Bs and this one is definitely one of the best. The house is beautiful and decorated with real style, the rooms are really comfortable and clean and the breakfasts are scrumptious. Alex makes you feel immediately at home and is very thoughtful, fun, generous and kind. We loved it here, the little extras like the fire, the cake, the wine, the tea - all add to the magic combination. Wonderful! Alexandra and Tom were amongst the best hosts we've experienced in a B&B. They offered such a warm welcome and were so hospitable, it felt almost at times like we were visiting friends as oppose to a B&B. Lovely serene, quiet environment in the B&B. Would certainly recommend. A hidden gem in the gorgeous countryside! We stayed for 1 night due to a friend's wedding and everything surprassed our expectactions. Alex was a perfect host, providing extremely handy information & tips prior to and during our stay, the room was immaculate with fantastic views and we woke up to an amazing breakfast spread. I would highly recommend this venue & will definitely return when we're next in the area. Alex is the perfect hostess. Nothing was too much trouble, she even took our two little girls to the hen house to pick their eggs for breakfast. The rooms are immaculate, and exquisitely decorated. And Alex does a mean line in banana bread. And a 19 acre garden with beautiful views is a treat, even in the pouring rain. We stayed one night and didn't want to leave. Calcot Peak House is beautiful and incredibly peaceful. The rooms are clean and the decor is gorgeous, with White Company linen and fresh flowers in every room. Alex is delightful and nothing was too much trouble. We arrived to freshly baked cake and tea, Alex gave us lots of great tips about the area and breakfast was absolutely delicious. Eggs came from Alex's own hens and everything was beautifully presented with fresh berries and hand squeezed orange juice. I would heartily recommend this wonderful B&B with its delightful owners. We stayed at Calcot Peak House for a wedding and could not rate it more highly, its a hidden gem and well worth a visit! Alex made us feel so welcome and was so flexible, it was like a very luxurious home from home. Such great value too, can't wait to go back! We stayed here for one night as it was local to a wedding we were attending. The rooms and views were delightful and we were made to feel most welcome by Alex and her lovely dogs! The breakfast was outstanding. We would definitely stay again. Absolutely wonderful stay - beautiful surroundings, welcoming and jolly hostess and the most delicious breakfasts - thank you! A charming B&B, boasting character and luxurious comfort. Alex has thought of everything and is the perfect hostess. The rooms are decorated beautifully and the breakfasts are simply delicious. A wonderful and relaxing stay. Tea and cake and a very friendly Alex - a great welcome!!! fabulous bed linen and huge bath towels, delicious breakfasts and loads of information on the local area - truly a good find - We loved our wing of the house and being the gorgeous countryside as well as close to Cheltenham. 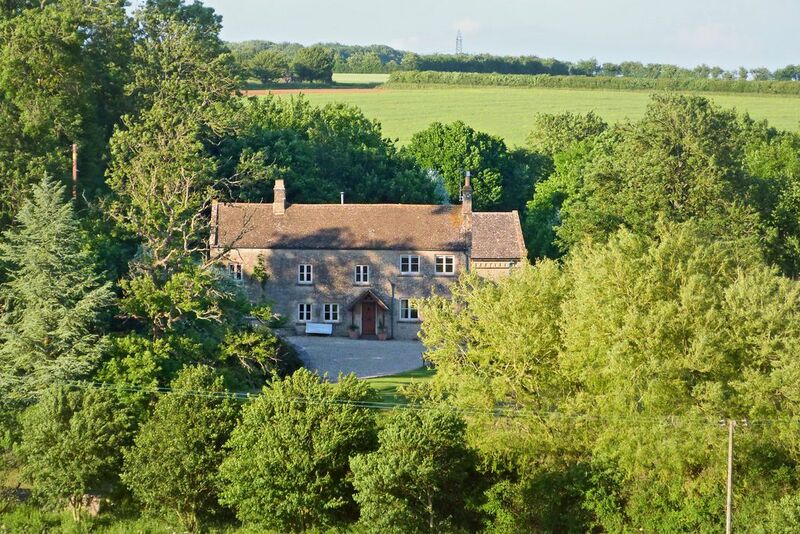 A beautiful, rural spot with rolling countryside and good walks. Northleach and Barnsley (five-minute drive) for award-winning restaurants. Cotswold villages with Saxon and Norman churches (Coln Rogers, Coln St Dennis – both three miles), and honey-hued buildings. Historic Arlington Row at Bibury is three miles. Cheltenham for Racing, Shopping, Food and Festivals: Racing, Jazz, Music, Literary and Science. The stunning Coln Valley, Arlington Row and Cotswold villages on the doorstep. Burford, Bibury, Barnsley, Bourton on the Water, Stow on the Wold, Cirencester and Moreton in Marsh all nearby. Fabulous award winning eateries in local Northleach and Barnsley. Visit the Chedworth Roman Villa and Corinium Museum in Cirencester. Alex has a business selling Manuka honey. She and Tom are down to earth, enthusiastic hosts and easy to talk to. They moved here a few years ago with their teenage sons, who are usually around in the holidays. Alex picked up some great tips from her parents who also ran a B&B; she loves having guests and making them feel well looked after, with flowers from the garden and local ingredients for breakfast.